Produced by Domino, A-Plus, Del, Casual, Opio, Toure, and J-Biz. Cuts by Robski and J-Biz. 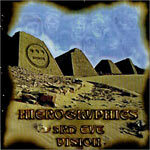 Lyrics by all the Hiero heads.